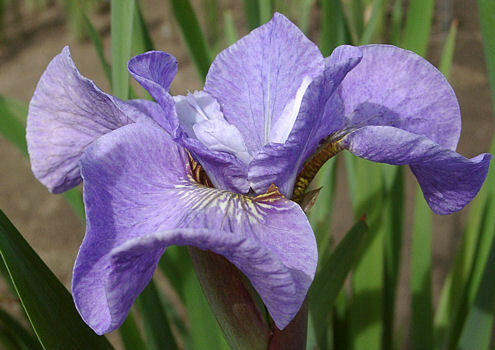 SIBERIAN IRISES Probably the best irises for the perennial border and landscaping. They prefer a slightly acid, organic rich damp soil, but are very adaptable. Their foliage is tall and graceful all season, even as they turn a handsome red-brown after frost. They are dug and divided in Spring, right after bloom, or early fall. Keep them moist for the rest of the year after transplanting. We grow them in the field with the Japanese and use the same culture sheet, including planting 2-3" deep. Tetraploids are marked Tet.